A college education can be quite expensive and planning to get all the assistance you possibly can on the financial front is essential. 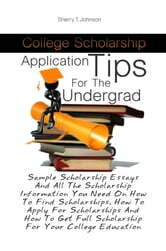 College scholarships are one form of financial assistance for you to be able to attain this level of education. Scholarships are in very high demand and highly competitive. You have to sell and position your viable edge in this race to optimize your chances of finding and securing the scholarship and tuition-funding package that is right for you. 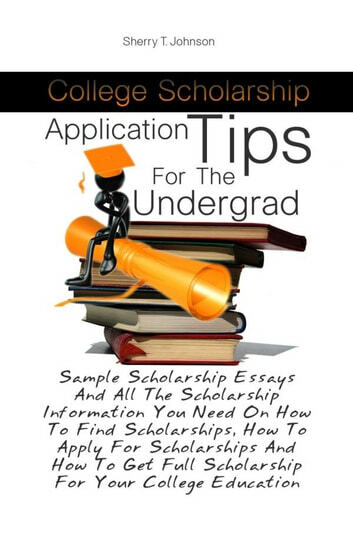 This guide came into being based on a very real need to understand the intricacies and complexities involved in finding, applying and receiving a college scholarship. There are many types of students, different types of scholarships and sponsorships, even loans and financial aid available to undertake building and shaping your future and training for your career, profession and passionate pursuit. This guide will provide you with all the tools and background that you will need for planning your application and the step by step direction on the processes involved. Remember, your application is your chance to introduce yourself to the selection committee – you just get one chance to sell your talents, distinctive qualities, achievements and assets. So, in this book we will show you how to optimize your presentation with confidence and precise execution that will make all the difference in the words. Someone once said: “Scholarships are not ‘handouts’ or freebies, they are planned investments in our own human potential and future!” Invest wisely in your future and apply carefully to a scholarship that will support your planned course of study as well as your potential.